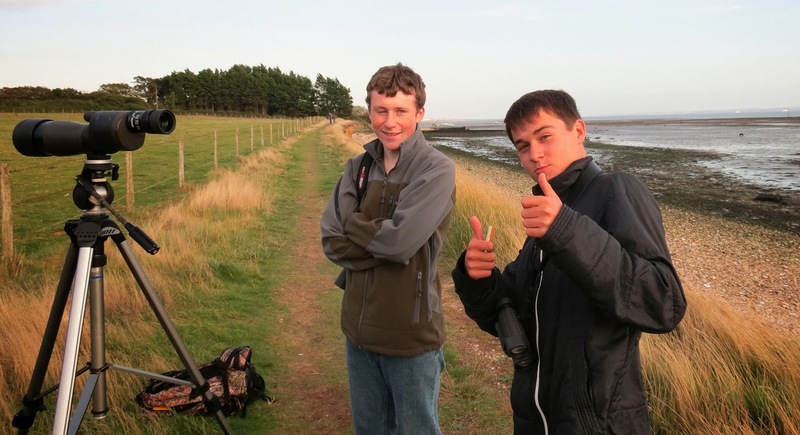 Very refreshing to meet these two 'Young Guns' at the Brown Shrike twitch this afternoon - Sussex newbies Luke Dray and George Kinnard. 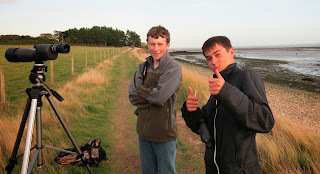 Both seemed mad keen on birding and ready to learn. We need such youngsters in the hobby - the majority of us now in our 50's or older. I have a massive library of bird books and well over 100 stuffed birds that will have to go to a good home and it is these sort of guys that I hope will benefit from them.